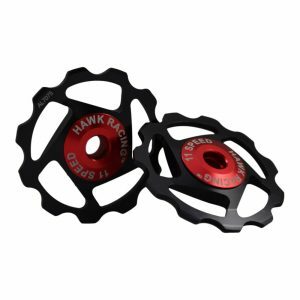 Experience the industry leading alloy derailleur pulley wheels that are changing the game forever. Our derailleur pulley wheels have less friction that even the leading ceramic bearings, which means more of your power goes straight into making you faster. Our bearings don't require the constant maintenance of ceramic bearings, saving you time and money. Our aerospace grade steel bearings provide you with the performance of ceramic with the ease of steel. Our bearings are cheaper to buy and cheaper to maintain, so you can put your hard-earned money into other upgrades. 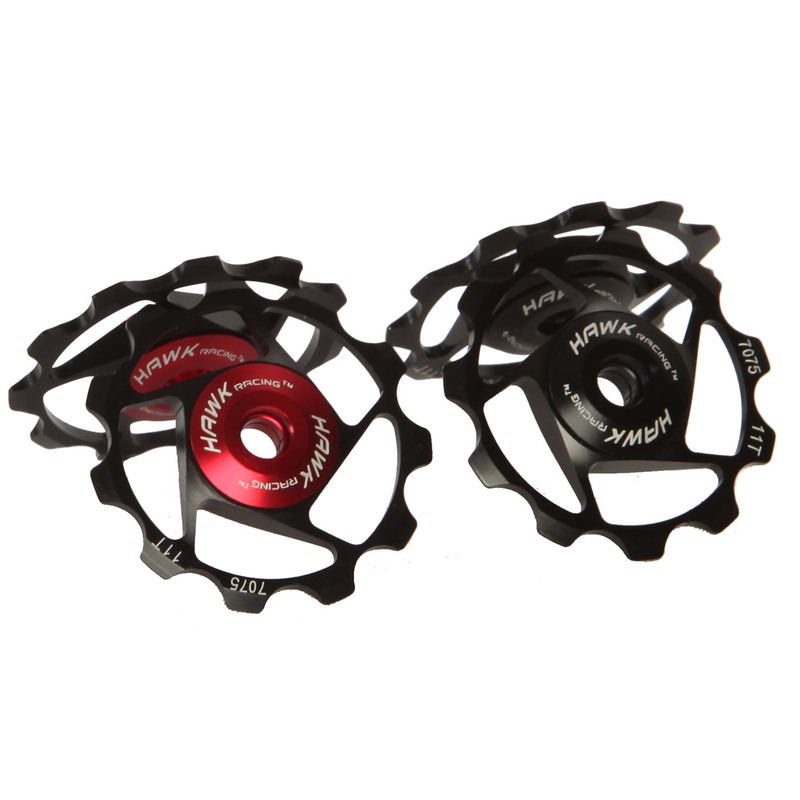 Choose from 2 colors for the center housing: black or red. 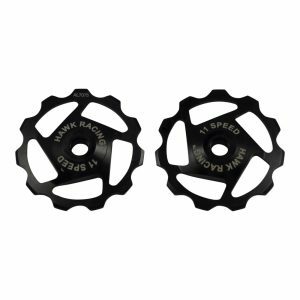 Choose between Shimano and SRAM as well as 10 speed or 11 speed drivetrain options to make sure the pulley wheels correctly fit your format.